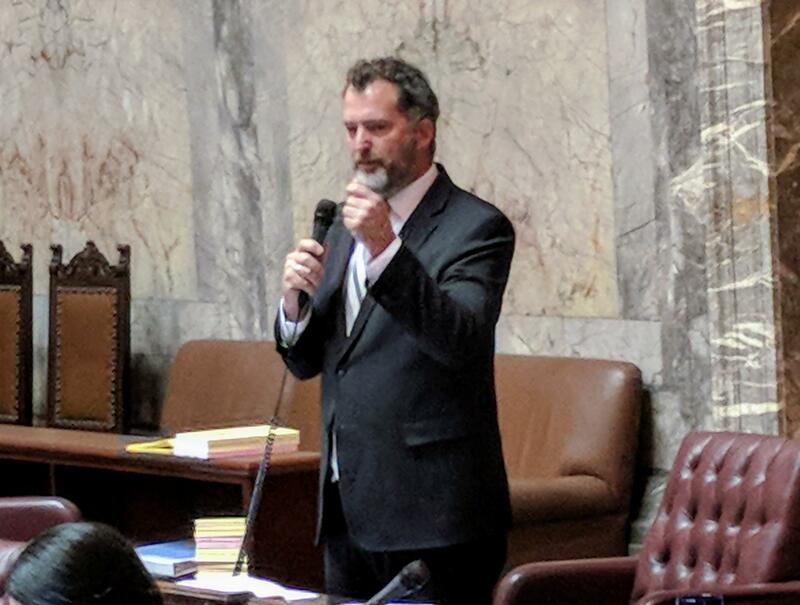 Washington state Sen. Kevin Ranker, an Orcas Island Democrat best known for his work on environmental issues, has confirmed that he is under investigation for alleged workplace misconduct involving a former employee. “A little over a month ago I learned that a former colleague reported that she felt mistreated by me while in my employment nearly a decade ago,” Ranker said in a statement to the Northwest News Network. 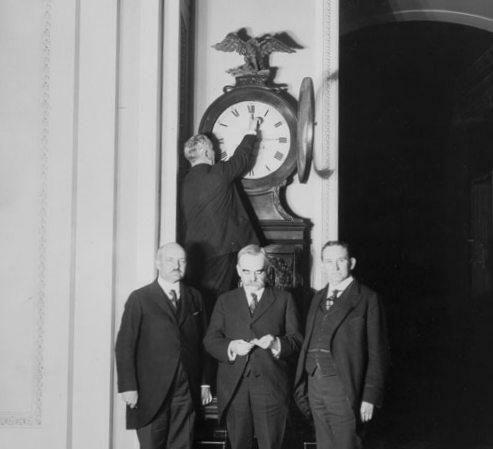 The Associated Press first reported the existence of the investigation. In his statement, Ranker said he supported the investigation as necessary “to ensure fairness for all involved” and said he was cooperating with the investigator. “I believe that I will be exonerated from these allegations,” Ranker said, adding that he couldn’t comment further. 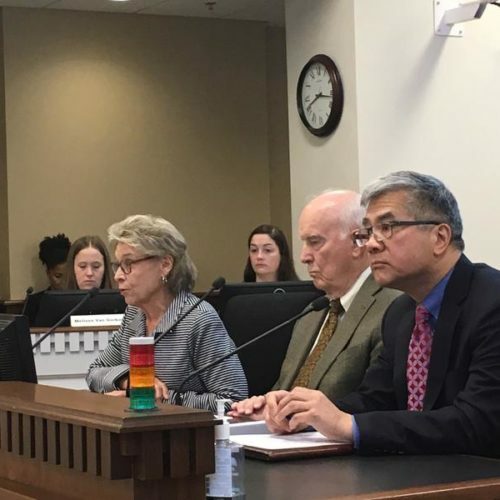 Ranker’s former legislative assistant, Ann Larson, who is currently the director of government relations for the Washington state Department of Enterprise Service, confirmed she is the former employee. In an interview, Larson said Ranker mistreated her while she served as his legislative assistant during the 2010 session. “It was a verbally abusive and hostile work environment,” she said. Larson said the Senate investigation was triggered after she decided to go public with her nearly decade-old allegations against Ranker. Before doing so, Larson said she alerted the governor’s office as a courtesy since she is a legislative liaison for a cabinet agency. She said Inslee’s office alerted the Senate, which then led to the hiring of the outside investigator. Larson said the investigator is Tara Parker of the Ogden, Murphy, Wallace law firm in Seattle. In response to a public records request, the Senate released a letter of engagement with Parker and her law firm. The letter, dated October 24, 2018, references a “fact-finding investigation,” but does not mention Ranker by name. Parker is charging the Senate $275 an hour, according to the letter. Three other people contacted by the Northwest News Network confirmed they have spoken with Parker about her investigation of Ranker. 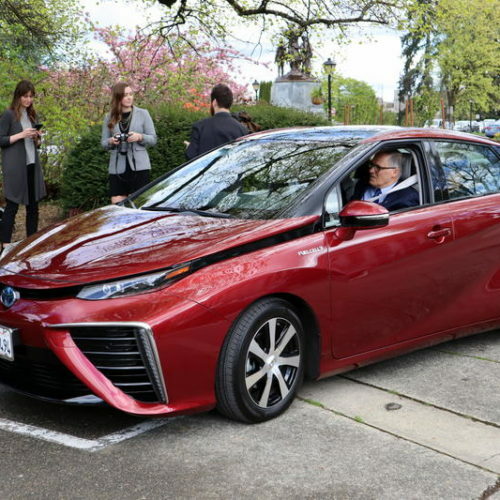 They include Democratic state representative Brian Blake of Aberdeen, former Washington Department of Fish and Wildlife director Phil Anderson and an Olympia lobbyist who asked not to be named because of her work at the Capitol. A friend of Larson’s, who also works in the legislative community and asked not to be named because of his work with the Legislature, said that Larson had told him about her experience with Ranker. “The time working in [his] office was not pleasant,” the friend said. According to Larson, during the 2010 legislative session she spoke with Senate staff about her alleged mistreatment by Ranker. That did not trigger a formal investigation. However, Larson said, Senate staff did offer to help her find a job outside of the Legislature. “There was a recognition that I needed to get out of the hostile environment and that they would help by writing a letter of recommendation,” Larson said. Larson provided the Northwest News Network an email she wrote on March 2, 2010 to Sarah Bannister, then a Senate staff liaison, that discussed her ongoing efforts to find another job and provided an update on the climate in Ranker’s office. In her email, Larson said that she could continue working for Ranker during the Legislative interim, but added the situation still required that she not continue working for him. “The urgency is no longer there, but I want to make sure I am actively pursuing an exit strategy,” she wrote at the time. Larson concluded the email by saying she was “constantly amazed by the great support network” in the Legislature. Bannister is now the deputy secretary of the Senate. She told the Northwest News Network that because of the ongoing investigation and her current position with the Senate she could not comment. In April 2010, Larson went to work as a legislative liaison for the Washington Department of Fish and Wildlife. In that role, she said she had to seek out meetings with Ranker because he was the vice chair (and later the chair) of the Senate Natural Resources Committee. Larson claimed she faced retaliation from Ranker for having made previous allegations against him. Larson said she also felt Ranker was threatening her job by “telling me that I’m overpaid, telling me that I’m a worthless legislative director.” She also said Ranker questioned her about Fish and Wildlife’s statutory authority to create her position. Larson said she eventually told her bosses at Fish and Wildlife about the problems she was having with Ranker. Larson said the situation improved after Republicans took control of the Washington Senate in January of 2013 and she no longer had to interact with Ranker as much. In December 2014, Larson was raped by a colleague who broke into her home following a Fish and Wildlife agency holiday party. That colleague, Greg Schirato, was convicted last January and sentenced to 10 years in prison. That case revealed a sexualized workplace climate among members of the executive management team at the agency. Earlier this year, Larson settled a tort claim against Fish and Wildlife alleging a “hostile and retaliatory” work environment. The Northwest News Network typically does not name victims of sexual assault, but Larson agreed to have her name made public in light of her renewed allegations against Ranker. Larson said she decided to speak publicly now about her allegations against Ranker in large part because of the #MeToo movement, the Senate confirmation hearings of Justice Brett Kavanaugh and President Donald Trump’s comments about women. 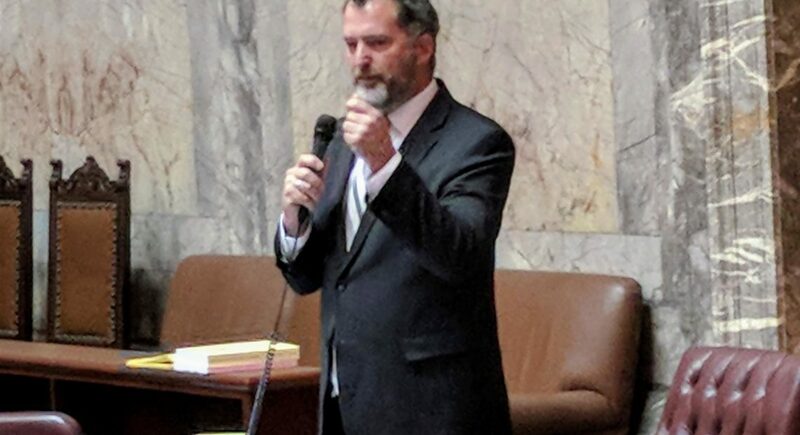 Ranker, a three-term state senator, is a high-profile advocate on issues like climate change, oil spill cleanup and orca recovery. Currently he chairs the Senate Higher Education and Workforce Development Committee, but will chair the newly-created Senate Environment and Tourism Committee in the upcoming legislative session. Under current Senate policy, the results of the Senate investigation will only be released if there is a finding against Ranker.